Black bean sauce dishes are arguably the most famous on any Chinese takeaway menu. Salty, and often with a chilli kick, this familiar dish will deliver when your taste buds crave the flavours of Asian food. Blanch the Cauliflower in salted water for 2 minutes, then drain and season with a drizzle of sesame oil and some salt. Heat a wok over a high heat and add a good splash of oil. 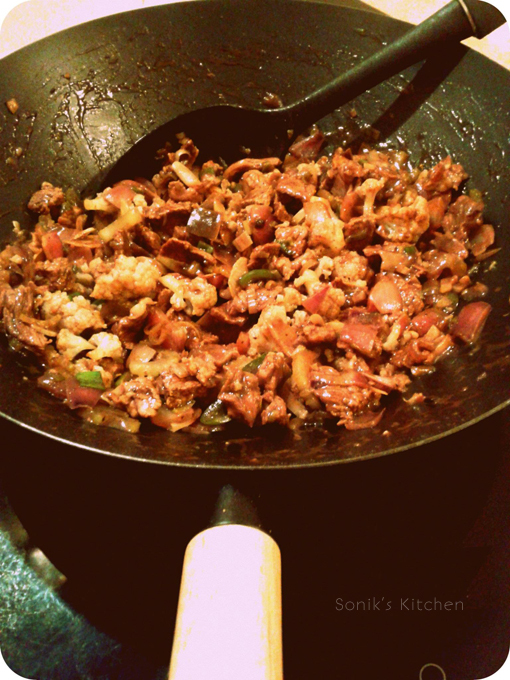 Add the ginger, garlic and scallion and stir-fry for about 10 seconds, just to soften the garlic. Add the black beans and cook for 20 seconds more. Add the steak and cook for 2-3 minutes, or until sealed on all sides. Add the chilli, blanched broccoli and some salt and white pepper, along with the Shaoxing rice wine, 1 tbsp of soy sauce and 1 tbsp water. Toss together, then taste and adjust the seasoning if necessary.